Our traditional matcha bowl adds so much to your matcha tea experience! Made in Japan from lead-free ceramics, it is narrow enough to retain heat yet wide enough for vigorous whisking. Makes a great gift for yourself or the matcha tea lover in your life. 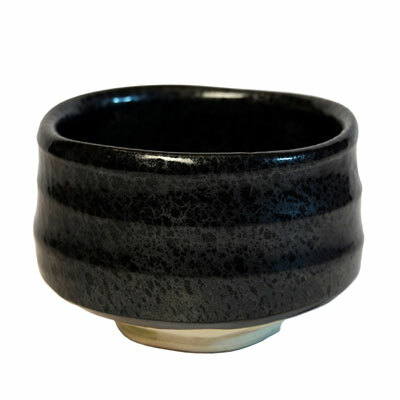 The Traditional Matcha Bowl is shiny black in color and comes packaged in a sturdy purple box lined with bubble wrap. Complete your matcha experience by adding an authentic Handmade Matcha Bamboo Whisk and Matcha Whisk Holder.